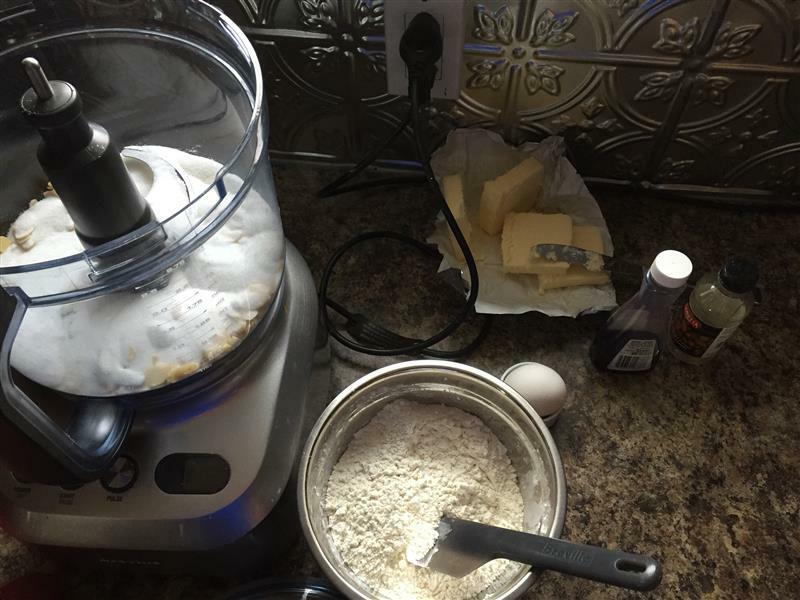 These are pretty quick and easy cookies with a good food processor. Toast sliced almonds, and process them to fine with the sugar. 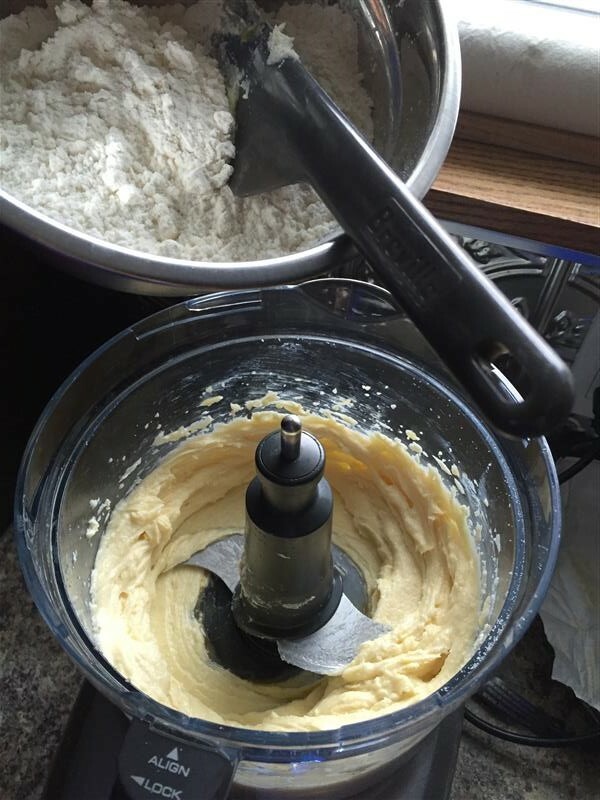 Add the butter, then the egg and vanilla and almond extracts. Pulse in the flour mixture, just until combined. 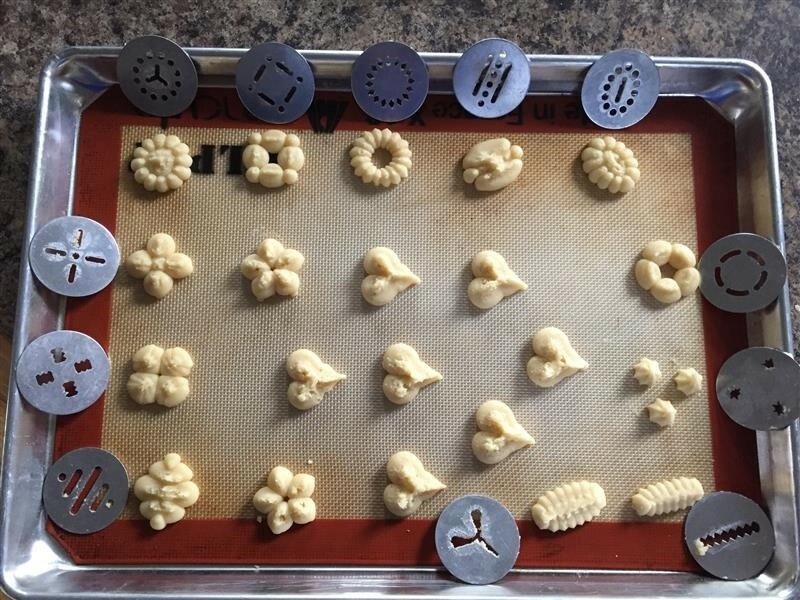 Spoon into a cookie press, and press them out onto the sheet. 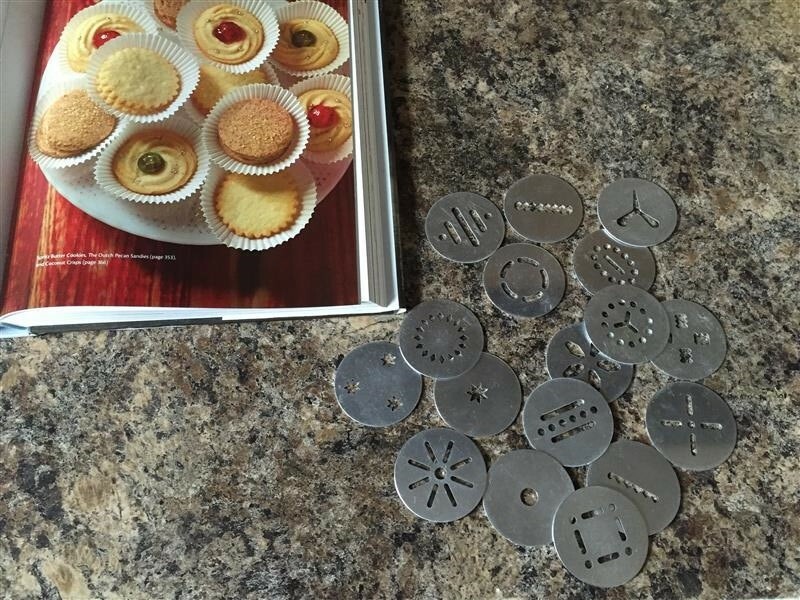 Posted on November 30, 2015 by KristinaPosted in The Baking BibleTagged almond, cookies, spritz. Previous Previous post: Pumpkin Pecan Pie? 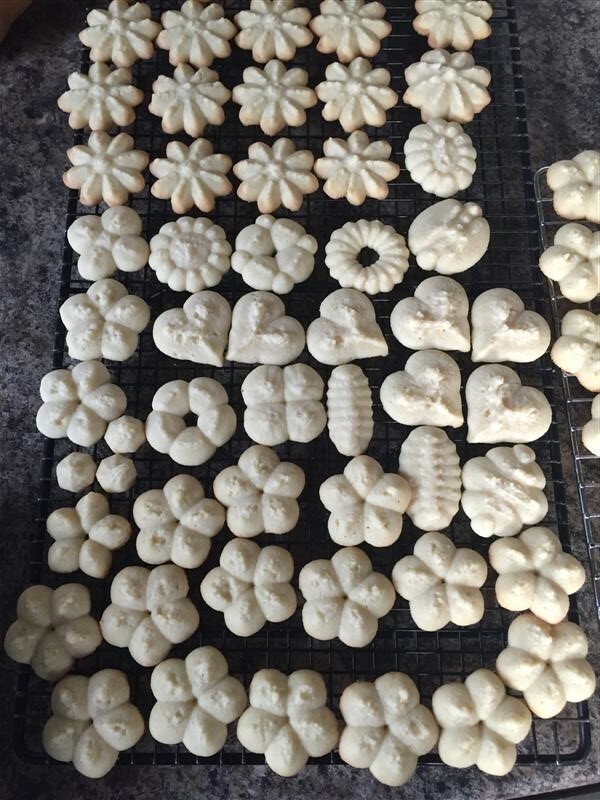 Or Spritz Butter Cookies? My gosh, they look like something from a bakery! Totally understand your husband’s not until after Thanksgiving rule. It’s ingrained pretty deep in us from the U.S. Merchants drive everyone crazy putting up Christmas things the day after Halloween.